Become a Knight with the Grand Tourney Bundle! 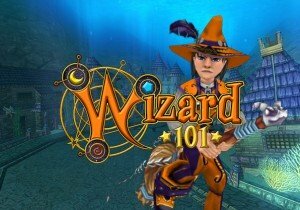 Wizard101 recently announced and released the Grand Tourney Gauntlet Bundle. This bundle can be found in Wal-Mart (and shortly thereafter in Target) for the price of $39. This bundle consists of many unique, never before seen items including the Grand Tourney Arena, dyeable Destrier mount, dyeable Squirerel pet, Valiant Jouster’s Armor, Valiant Jouster’s Lance, and the choice between a one-month subscription or 5,000 crowns! The Wizard101 Spiral is filled with dungeons—what makes this bundle unique is that it comes with an exclusive gauntlet that you can place in your house! The Grand Tourney Arena is Avalon-themed, complete with breathtaking scenery, a magnificent storyline, and thrilling battles. You’ll even have a chance to receive loot that has only been available in Crown Shop packs! If you are daring enough to partake in the adventure the Grand Tourney Arena offers, you will find yourself in the middle of a tournament between only the most elite knights. It falls to your Wizard to win the tournament, defeat the evil forces that threaten Avalon, and save Duchess Blackthorn! Wizards who successfully conquer the Grand Tourney Arena gauntlet will receive a special housing item and a unique badge as a reward. This pack is bringing so many firsts to Wizard101! Though the first that’s sure to turn the most heads is the first ever dyeable mount. Wizards are now able to match the color of their mount to the color of their gear. On top of that, the Squirerel pet is also dyeable to fit the wizard’s matching colors. Become a Knight of the Wyrd by making your gear and mount green to match the wilderness of Avalon, blend in with the shadows by dying them black, or show your school spirit by sporting the colors of your class! The armor in this bundle has an assortment of different stats depending on the level. A wizard wearing the armor looks knight-like and ready for battle. To make the wizard seem even more like a knight, the bundle includes a lance with great stats and even an ability to automatically cast a spell during combat! With your new gear and the Destrier mount, you’ll be fully ready to take on the Spiral. The possibilities are limitless: have a pretend jousting battle with friends, or engage in battle with the toughest bosses and come out victorious! Of course, to top off every bundle, Wizards are given the choice between a subscription or Crowns. Be sure to choose wisely! You can either unlock the entire game for a limited time with a subscription, or use Crowns to enjoy some of the spoils of the Crown Shop. Want one of these epic bundles? Enter our giveaway on the forums!